The training and education of aviation began in the early 20th century after the Wright brothers had a successful powered flight. The developments of the training were distinct in different countries and even evolved from military needs in some cases. However, it is important to note that both World War I and World War II acted as a catalyst that fueled aviation training.This was because there was need to send more pilot soldiers to battlegrounds, thereby creating aviation and aerospace engineering education. Advanced military commands around the world have also played a significant role at ensuring that aviation research and training is taken to a higher notch. The aviation industry has grown so much from the day the Wright brothers had the first successful flight, thereby easily compressing the world into a global village. Aviation training has therefore become a coveted education path for landing a dream career by many people. Likewise, there are many reputable institutions that are internationally accredited and certified to offer aviation training to interested students. If you are interested in becoming a pilot, there are a variety of certifications to choose from. FAA-approved flight schools usually involved high quality programs and many flight hours. A pilot is trained professionally as well as licensed to operate an aircraft. As mentioned above there is an array of programs to choose similar to the way there are different types of plane that one can fly. Most schools allow students to take a discovery flight of about 30 to 60 minutes to introduce them to flying.For pilots the program levels include; 30 hours for recreational, (250) certification, and private (35). For prerequisite programs the minimum age includes; 18 for commercial and 17 for private pilots and recreational. A bachelor’s degree in the related field is also required, recreational certification for private certification program entry, private certification for commercial certification program entry, medical examination, criminal background check, and finally a drug test. Students are required to pass oral and written examinations, and also a flight test in order to graduate.Let’s have an in-depth look at some of these aviation training certificates. In order to start on this certificate students are required to obtain a medical certificate from a medical examiner that is approved by the FAA. Also, students must pass a final written exam after completing the program. After students complete the program, they are authorized to fly one passenger at a time during daytime in an aircraft that has not more than 4 seats. The typical coursework includes; engine systems, safety, basic aviation terminology, air regulations, aerodynamics, and instrument controls. Students may pursue a private certification after achieving a recreational certificate. This is a program that has been designed to prepare students to fly any type of private airplane at any time of the day and there’s no limit to the number of passengers that one is allowed to take. This certification requires a minimum of 40 hours of training for schools that are approved by the FAA or for non-approved schools a minimum of 35 hours. The typical coursework includes; FAA regulations, engine malfunctions, pre and post-flight inspections, turbulence flying, and radio communications. This is a certificate program that may be pursued by graduates of the private program certificate. This program allows students to fly a commercial plane and it usually requires between 100 hours to 250 hours of training, but all this will depend on whether the school is approved by the FAA. There is a medical examination required from an examiner that is approved by the FAA to take part in this program; and the coursework includes; leadership, the technical makeup of an aircraft, aviation business, meteorology monitoring, and navigation. Cockpit posters and simulators are extremely important when it comes to pilot training. 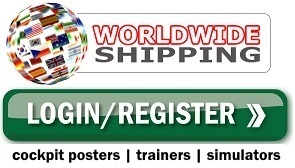 This is mainly because posters are efficient visual aids for both qualified and training pilots. They provide pilots with an easy and quick reference, whereby one is able to learn through the layouts outlined in the posters about the aircraft. They also provide accurate as well as detailed information regarding the plane and the cockpit panels making it efficient for the student or pilot to fly the plane. Professional pilot cockpit posters have been around for more than 20 years and have proven to be quite effective. Aviation students can be confident of having a point of reference whenever they need to refresh their memories during the course of their flight. Cockpit simulators are also important when we talk about aviation training. This is because the simulation cockpits have been designed to replicate a similar environment like that of a real aircraft cockpit. 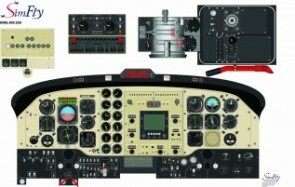 Aircraft cockpits involve a lot from complex controls, to radios and other important stuff that help to fly a plane. Therefore, for a student training to become a pilot a cockpit simulator is really important as it helps them experience that real kind of environment making them learn effectively and in the right way. A cockpit simulator will allow the student to be in a virtual environment that mimics the actual airspace, thereby giving them the confidence needed to fly a plane. Unlike an actual plane which would crash when one makes a wrong move, a cockpit simulator will allow them to rectify their mistakes as much as they need until they eventually perfect. Aviation training is an amazing course; however, determination and hard work is always the key to achieving greatness in everything you do. If you are well determined and believe you can get something done, then nothing can be impossible for you.Aviation training ushers someone into a noble profession that requires one to be passionate about their roles. The responsibilities accorded to an aviation student are immense and involves guarding the lives of the many people they will be responsible for as they fly, and the costly goods that will be flown by planes all over the world.